The "Red Plastic Tab" is the tab widget, which is quite popular on many blogs, whos.amung.us provides various widgets to gather and display real time stats for your website or blog. 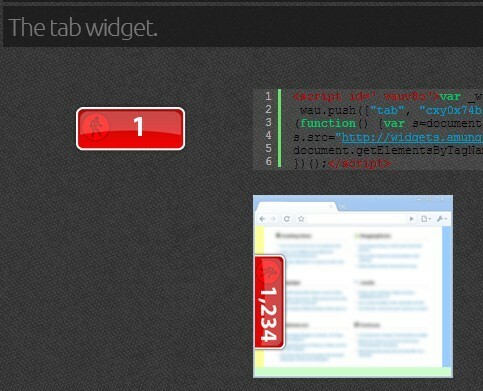 The most popular one of course is the tab widget. Did you know that Plagarism/Copying is rampant on the internet and many bloggers are not even aware that many of their original articles are being re-published on other blogs/sites without their knowledge and more importantly without their permission? CopyScape is site that has been around for finding copies of your content, the free service only finds top ten matches, it also offers banners & badges to put on your blog and discourage plagarism Add The white 3d banner using the widget below or find the code for your blog yourself. 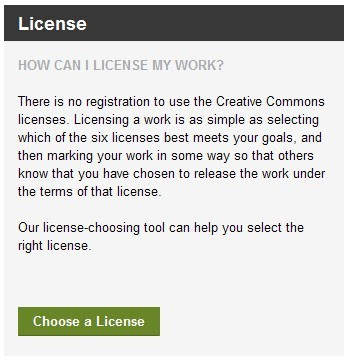 After choosing the license, in the following screen you can modify the options whether to allow modification or commercial use of your work and accordingly get the suitable license code. Or use the widget below if you allow modifications as well as commercial use of your work(default options), also known as "Free Culture License"
The Retweet button(from Tweetmeme) is for website and blog publishers that want to encourage their audience to retweet their content on twitter. 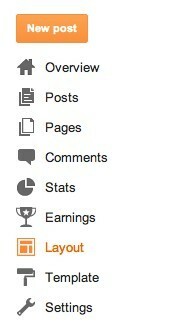 The button shows a live count of the number of times your webpage or blog post has been tweeted. Add this widget to Blogger. ClockLink.com provides variety of flash based clocks for your website or blog, they are completely free! This was one of our favorites, click the add to blogger button to add this widget to your blog in just a few clicks or go and search your own favorite from their awesome collection of clocks. Another very cool Islamic Calendar widget for your blog from http://www.al-habib.info/islamic-calendar/, customisation options can be found on this page, and for easy install with default options click the button below. Add a very elegant looking Islamic Clock on your blog, thanks to http://www.al-habib.info/islamic-clock/ for this free clock, you can customise the colors etc. and use the code and instructions on this page to add this code to blogger blogs. Or simply use the button below to add the clock shown below. 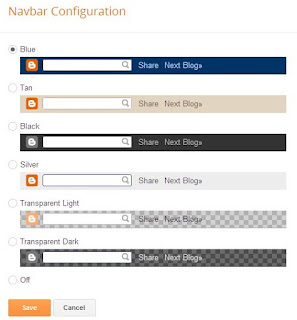 There is a new option that lets blogspot bloggers to turn off the navbar which was displayed on top of their blogs, It is better to turn off the navbar this way than to use a hack to disable it. There many customized templates which use a hack in the style sheet to disable the navbar in blogger, Now there is an option to turn off the navbar in blogger. Follow the steps to turn off the navbar in the correct and legitimate way. Most bloggers using the XML Layouts, have to click "EDIT navbar" in the top right corner of the window. In the window that opens up, select the "off" option below and click "save"
Blog Promotion Secrets | blog search engines & blog directories.